This piece truly is a work of art that in some ways echoes the work of Salvador Dali. The flowing and balanced organic lines and shapes are drawn from Bex’s love for Art Nouveau while the half spheres reflect the design of our pestle and mortars. 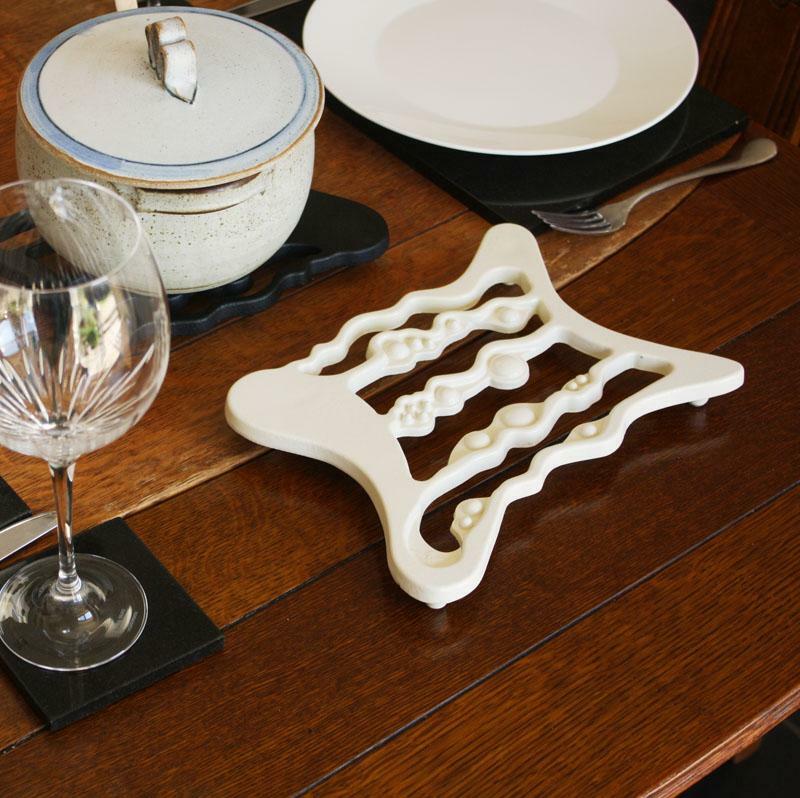 Not only is this product designed to protect your worktop or dining table from hot surfaces, like all of Bex’s designs it is there to function as art when not in use. So don’t put it away – put it on display. 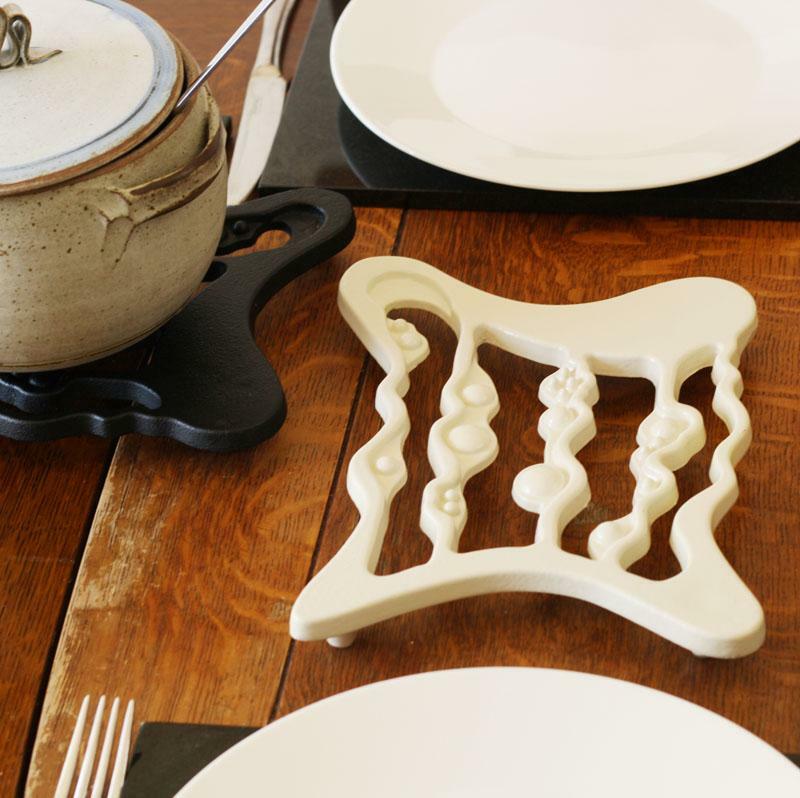 This trivet is made from solid cast iron and finished in a cream powder coat. 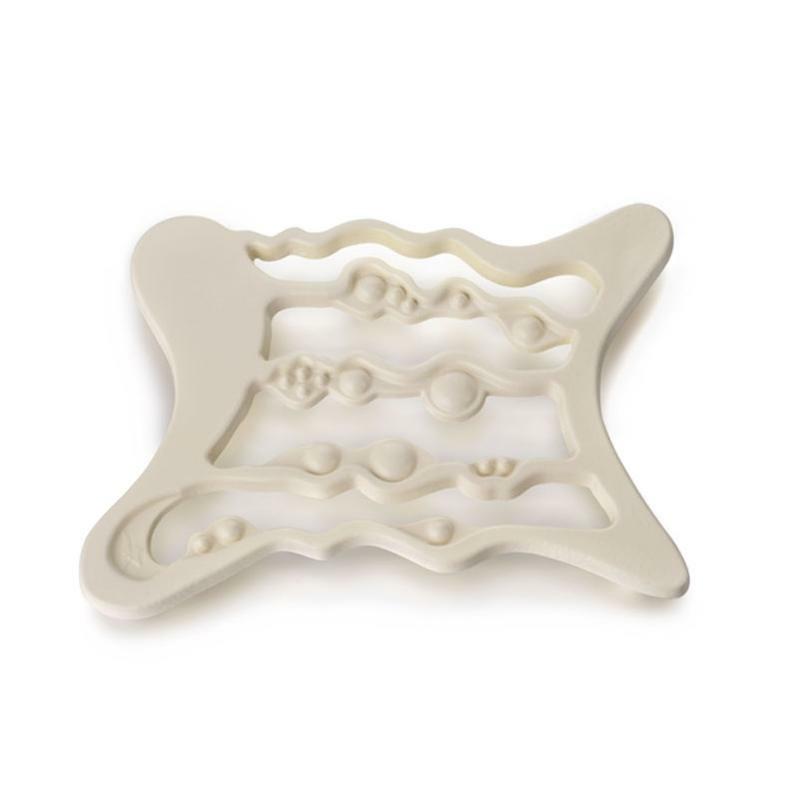 Pads on the base of the four legs provide grip and added protection. 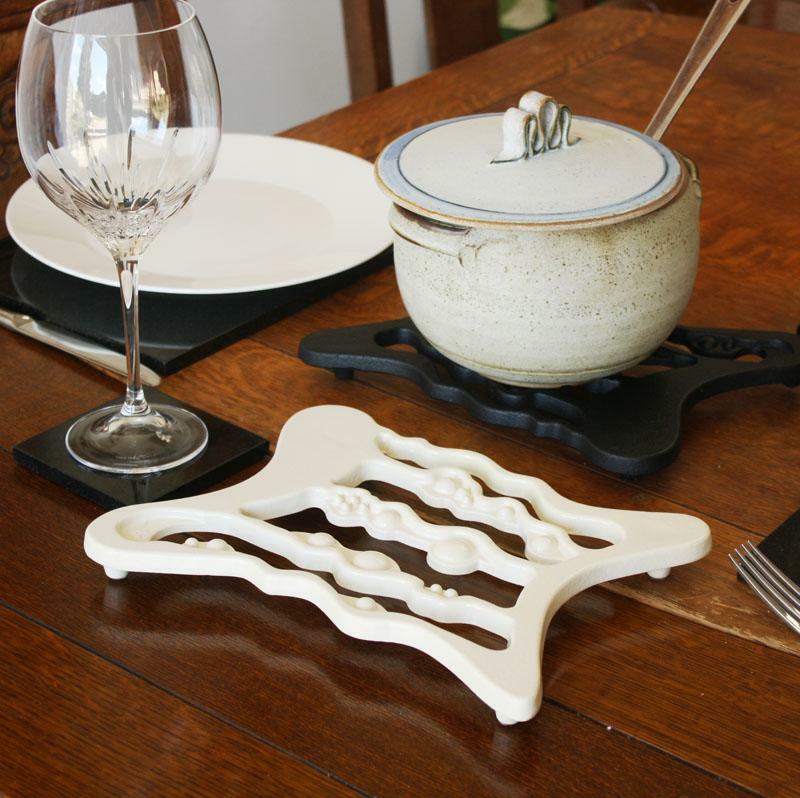 Cast iron is the perfect material for hot plates and this designer trivet will provide all the protection your table needs from hot pots and oven dishes. 19 x 26 x 4cm H.